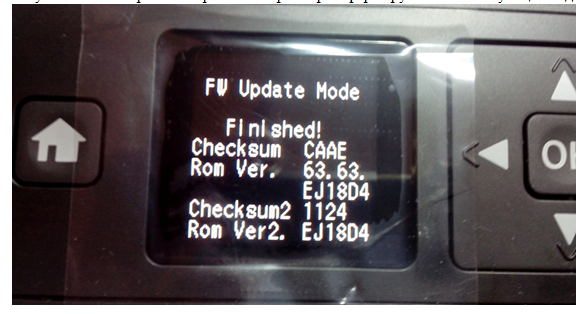 1) Turn on the printer in updating firmware mode. For this push 4 buttons on the panel simultaneously and hold them until the printer display information message. 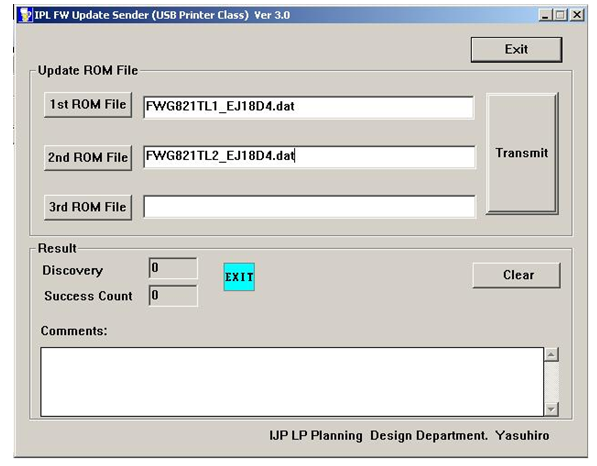 2) Connect Epson with your computer and when the operation system offer to instal driver, click 'Cancel'. 3) Run the downloader IPL USB Sender. 4) Choose files for updating as it shows on the picture. 5) Click 'Transmit'. The updating takes about 1,5 minutes. DO NOT SWITCH OFF DURING UPDATING! Then click 'OK' on the panel and the printer turn off automaticaly.